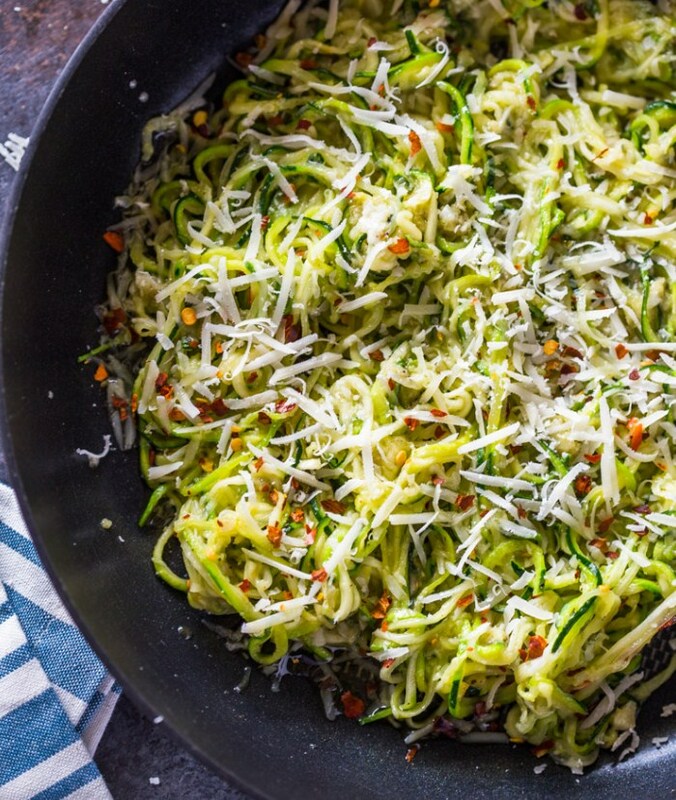 Spiralize zucchini into thin noodles using a spirlizer. Heat large pan on medium-high heat. Melt butter, then add garlic. Cook garlic until fragrant (about 1-2 minutes) Be careful not to burn garlic. Add the zucchini noodles and grated parmesan cheese and salt & pepper to taste. Cook for 1-2 minutes or just until the zoodles are al dente. Remove from heat and serve immediately. Top with more parmesan if desired. *After spiralizing zucchini, place spiralized zucchini on a few paper towels and sprinkle with a light layer of salt. Cover with another paper towel and rest for a few minutes. This will help draw the liquid out of the zucchini. This step is optional but highly recommended.